'Photo Background Eraser' is a powerful photo editing tool to change Photos background. Photo Background Eraser uses a strong Erase Trick to Auto erase photo's background precisely thus making your photo looks more realistic. 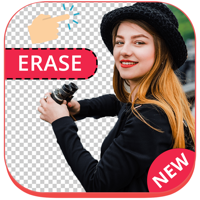 Photo Background Eraser Editor is a complete photo editing tool for all your photo background erasing and photo background changing needs. - Apply Pointer Size to make photos look more realistic. - Photo Background Changer also provides many HD backgrounds to change your photo's background. 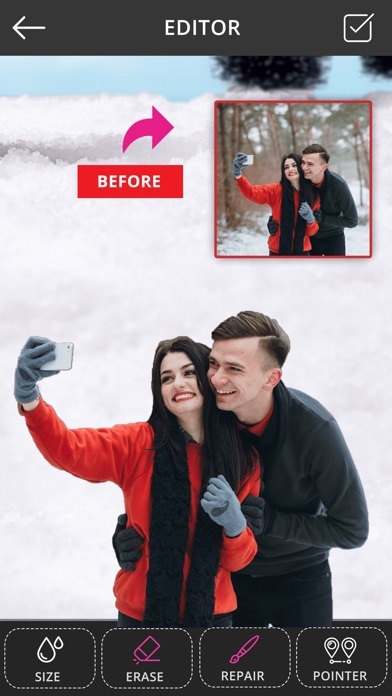 - Photo Background Changer also provides many Realistic Colors to change your photo's background Colors. 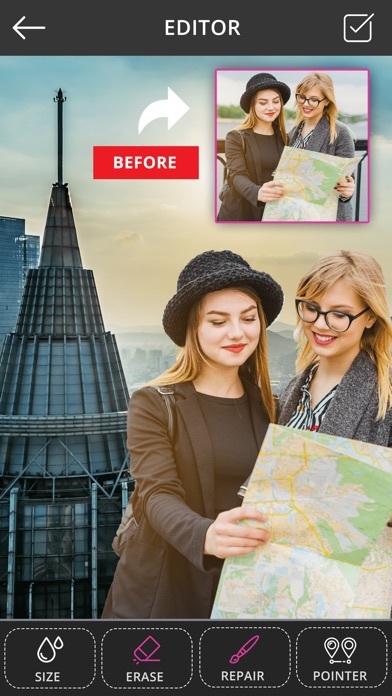 - Photo Background Changer also provides many Cool Patterns to change your photo's background Patterns. - Share your creations on any social networking directly from the app.